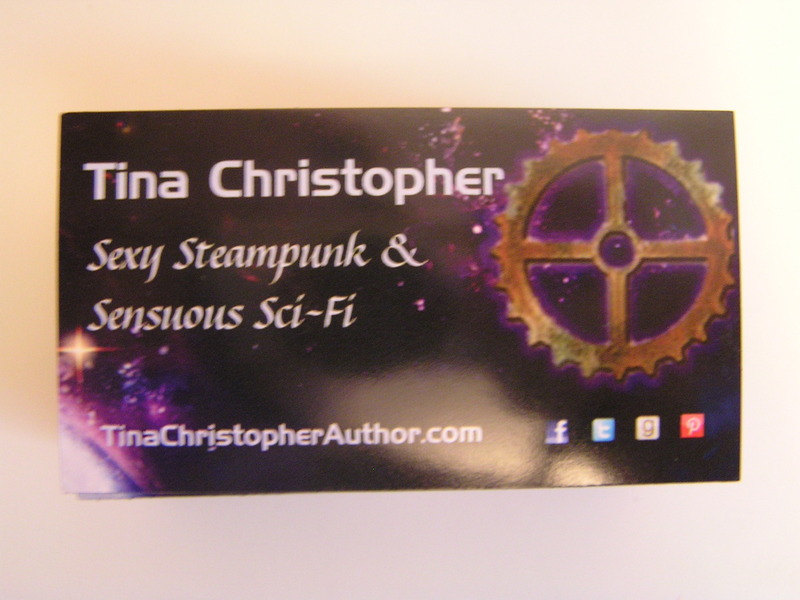 Posted on September 23, 2013, in Uncategorized and tagged magnets, romanticon 13, swag, vistaprint. Bookmark the permalink. 4 Comments. Magnets work for me! Also, chocolate. Love your design, btw. Thanks, Nancy. I love chocolate too and am hunting around to see if I can find nice chocolate that is Canadian and doesn’t cost and arm and a leg;). I have a stainless steel fridge, so magnets don’t work. Personally, I’m a sucker for bookmarks, because I never seem to be able to find any…and I use them in my reading book, note book, calendar, etc. Lol, I seem to go through phases, one moment I can’t find a single bookmark and then I suddenly have a bunch of them. I’ve seen the recipe cards. Unfortunately I am a total klutz in the kitchen, but I’ll look into it. Thanks!